Sol Cayo Largo hotel for scuba diving and snorkeling equipment. At the 4-star All-Inclusive Sol Cayo Largo Hotel, guests will enjoy the warm and clear blue waters and tropical paradise and the possibility of scuba diving in the colorful ocean depths. The hotel is located in Cayo Largo del Sur, facing one of the Caribbean's most beautiful coral reefs. The Scuba Diving Center is located near from the hotel. Perfect destination for scuba diving travel. You will find a wide variety of dives to suit all levels of ability in Cuba: scuba diving packages and initiation courses provided by PADI and SSI - certified instructors. 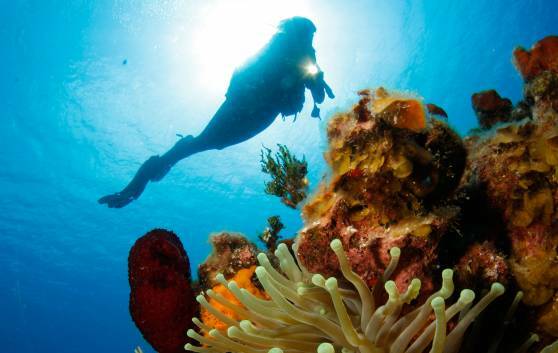 Scuba diving packages for your Scuba diving holidays.